Let’s begin with the obvious: Searching for a new job is stressful. This is true even when you’re currently employed, balancing the demands of your nine-to-five with an after-hours quest on online job boards, or covert discussions with your recruiter or career coach. 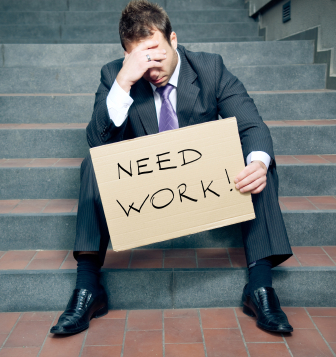 It’s even truer when you don’t have a job at all—and when your need for employment begins to feel downright desperate. To some extent, searching for work is always going to be stressful. On another level, though, it’s about as stressful as you care to make it. You cannot control every facet of your job search, of course, but there’s plenty you can do to manage and mitigate stress. One thing you should always, always, always do is take care of yourself. Work out. Devote an hour each day to running or going to the gym. Eat right, too, and don’t use unemployment as an excuse to fall into bad habits, such as the consumption of junk food. When you feel well, you’ll be better able to deal with stressful experiences and conflicting emotions; feeling run-down, crummy, or low on energy, meanwhile, will only make that stress more severe. As trivial as it may sound, playing music is a good idea. Music has documented stress-reducing properties, and while you don’t want it to become a distraction, you can at least put on some background tunes while you search online job boards, post to LinkedIn, and so forth. Stay organized. Keep a calendar and a daily planner, outlining all the steps you need to take and all the tasks on your to-do list. Have a folder where you can keep important documents. Treat the job search like you would a full-time job, and ensure that nothing can slip through the cracks—which will ease your mind and alleviate uncertainty. Set small goals for yourself. Your main goal, obviously, is to get a job, but you might also set more minor, day-to-day or week-to-week goals—to follow up with five employers today, to submit ten new applications by Thursday, and so forth. Finally, leave some room for volunteering. Community service is not only great for boosting your morale, but it may even be something that looks good on your resume! Something else that will reduce stress: Knowing that you have a solid, effective resume to circulate. If that’s what you lack, contact our resume writing team today. Grammar Chic, Inc. can be reached at www.grammarchic.net, or 803-831-7444.